From Laos to Ukraine, an entire generation may be lost. Shabnam fled thousands of miles with her family to escape conflict in Afghanistan. Now she’s safely learning English in a refugee camp in Belgrade, Serbia. A brain tumor left Hammam blind at the age of 3. He’s now 10 and he’s thriving in a school for the visually impaired in Palestine. As an albino in Yemen, Hosson was bullied until she eventually had to leave school. Civil war then made her dreams of becoming a doctor even more unlikely. Today, she’s able to study in an emergency school program. 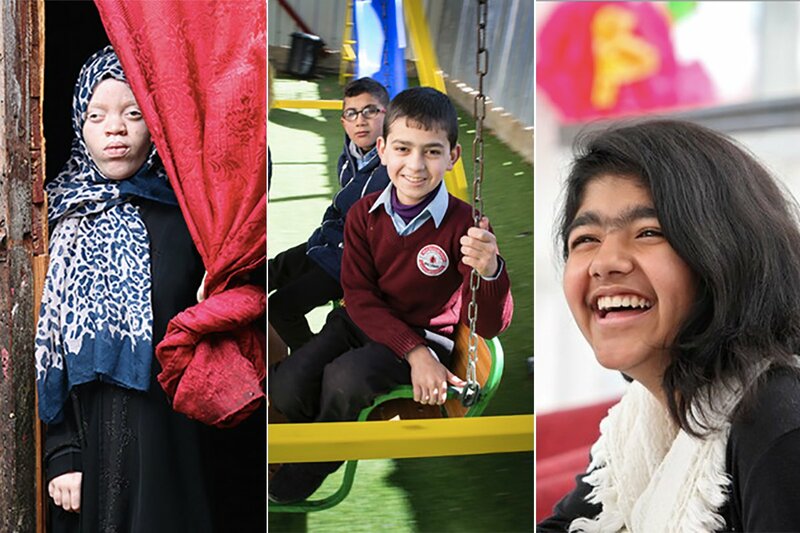 These are all children who benefit from UNICEF’s school programs, which is one of hundreds of organizations that are supported in part by the United States’ chief foreign aid agency, USAID. 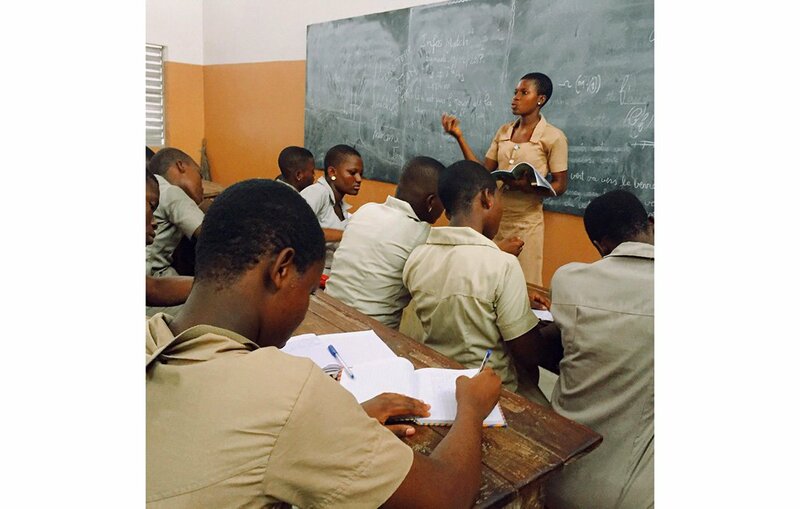 Between 2011 and 2015, USAID and partner programs helped 51,900,000 youth get an education and 609,000 young adults improve their employment prospects. More than 450,000 teachers and educators were trained each year during this period through US foreign aid investments. And more than 146,000,000 textbooks and other learning supplies were purchased for classrooms. 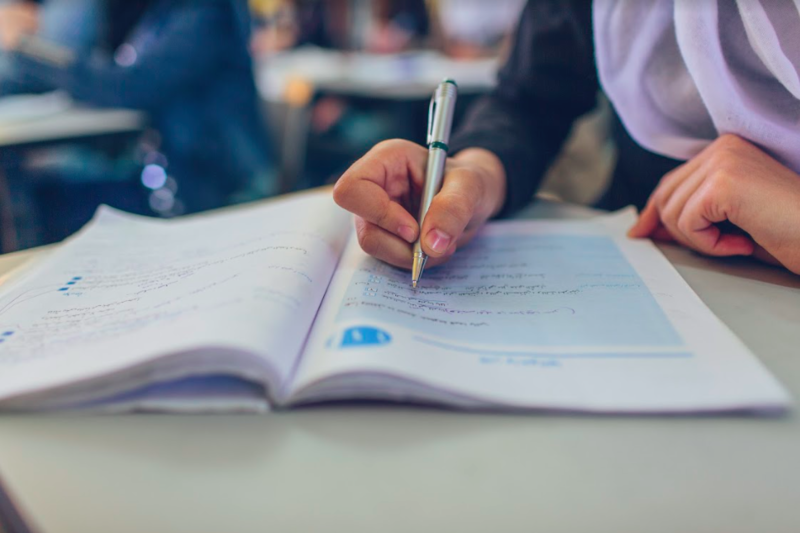 USAID has been making steady progress in bringing quality education to more people each year, especially as the agency builds up partners in host countries that are then able to carry on their work. 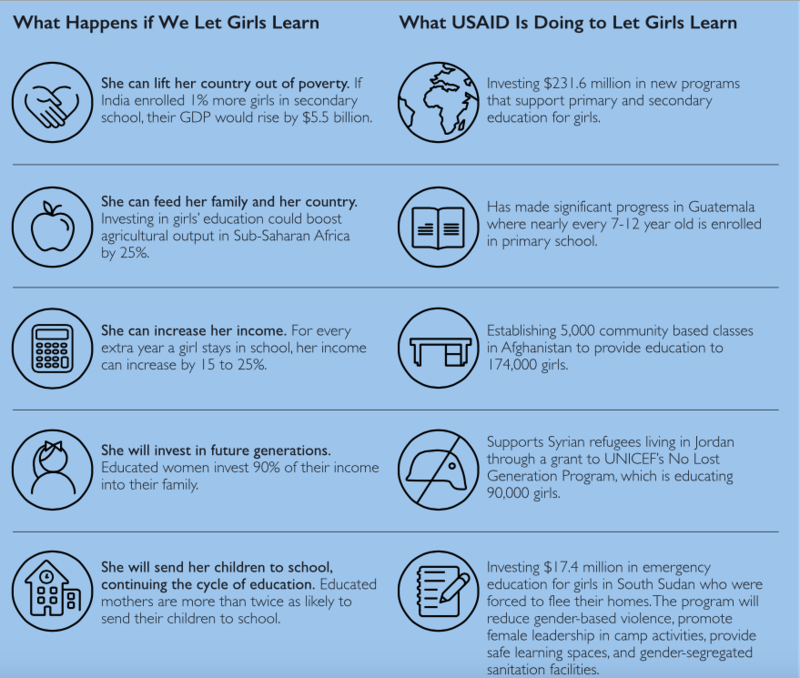 The work of USAID and partner organizations is critical to the UN’s Global Goal 4, which strives to bring quality education to every person in the world. But many of the advances that have been made in recent years to achieve universal education could be unraveled as Congress weighs whether to accept the Trump administration’s proposed 52% cut to international education spending. In 2016, funding for international education was $800 million, which means $416 million would be shed. Such a massive cut would completely end US-funded basic education programs in: Djibouti, Liberia, Malawi, Mozambique, Rwanda, South Africa, Zambia, Burma, Cambodia, Laos, Ukraine, Tajikistan, Dominican Republic, Nicaragua, Peru, Barbados and Eastern Caribbean. It would disrupt organizational structures that have been painstakingly developed over many years and would throw the educations of millions of kids into uncertainty. And it could also trigger a chain reaction of diminished foreign aid funding for education initiatives around the world, especially since just 2% of all humanitarian aid goes toward education, and the refugee crisis continues to escalate around the world, straining the capacity of countries to deliver quality educations to those most in need. The Trump administration is trying to reorient US aid to focus more on military and economic programs that have specific strategic goals. If other countries followed suit, education funding could be plummet. Overall, the Trump administration wants to slash foreign aid by 32%, but education is targeted for especially severe cuts. The House of Representatives has argued to reduce overall foreign aid spending by 17% and the Senate has argued for a 10.8%. Global Citizen is advocating to stop the cuts completely and instead maintain current levels of funding. Leading up to the 2017 Global Citizen Festival, global citizens are calling on their representatives to stand up for foreign aid, which has been a pillar of US diplomacy for decades. USAID has three main educational objectives: improve reading abilities around the world; increase employment opportunities; and bring education to children in conflict and crisis zones. These objectives are in no way flashy, but they reflect the enormous fundamental disparities in educational opportunities worldwide. Globally, more than 250 children aren’t receiving basic literacy and numeracy skills. Around 114 million people, mostly women, between the ages of 15 and 24 cannot read or write a simple sentence. And 121 million living in conflict or similarly distressed areas have no school options. USAID directly supports 151 basic education programs in 46 countries and 88 programs that advance either employment prospects or higher education. In recent years, under the guidance of former first lady Michelle Obama, the US has also expanded efforts to help girls’ access to schooling and opportunities. This initiative, called Let Girls Learn, aims to get the 131 million girls who are currently denied a full education into the classroom. The US pursues these goals with the help of its partners on the ground, which range from other governments, to small local groups, to huge multinational NGOs. Here are five programs that are especially crucial to achieving these goals, which would be impacted if the US cuts education spending. UNICEF is guided by the premise that education is a fundamental human right and it dedicates most of its resources to helping children in emergency situations. In 2016, the organization helped 15.7 million children receive an education, 11.7 million of whom were in situations demanding humanitarian intervention. UNCIEF’s biggest project funded by the US in 2016 was for basic education efforts in Nepal, for which they received $1.4 million. After the country experienced a 7.8 magnitude earthquake in 2014, the education of 1.7 million children was affected as 32,000 classrooms were destroyed and 15,000 were damaged. 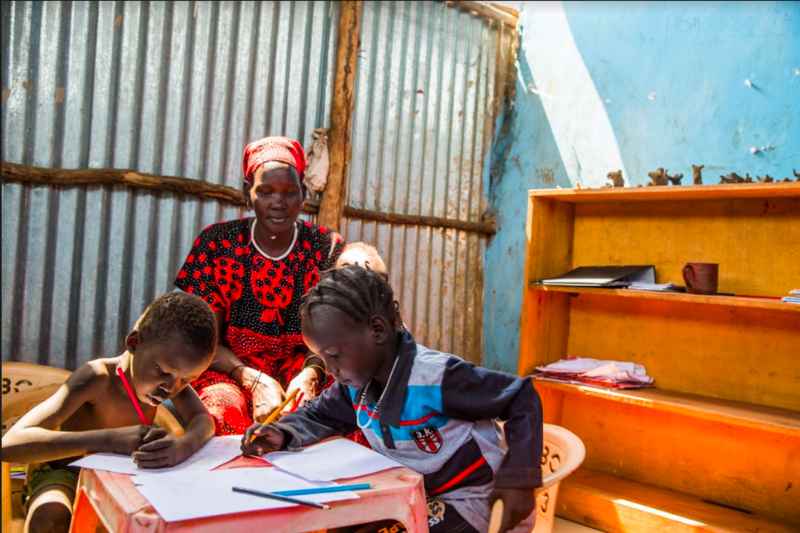 UNICEF has been working to build temporary schools, provide learning supplies, and help teachers and students return to the classroom ever since. 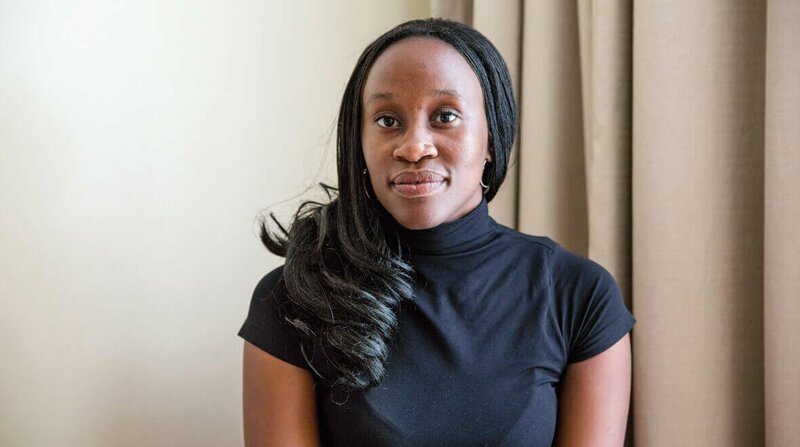 As a teenager, Valentine Maswache studied in an informal school behind a dumpsite in Nairobi and she watched as many of her peers dropped out to become single mothers. Today, she’s getting a Bachelor’s degree in journalism and media and works as an education researcher at Vision Empowerment Trust. Maswache is one of the 72 million people who have received an education since 2002 thanks to the assistance of the Global Partnership of Education, a multilateral organization that’s active in 65 countries around the world. “[Our work] makes every other program effective by working in a broader framework,” he said. GPE has also helped to achieve gender parity in 64% of its partner countries. 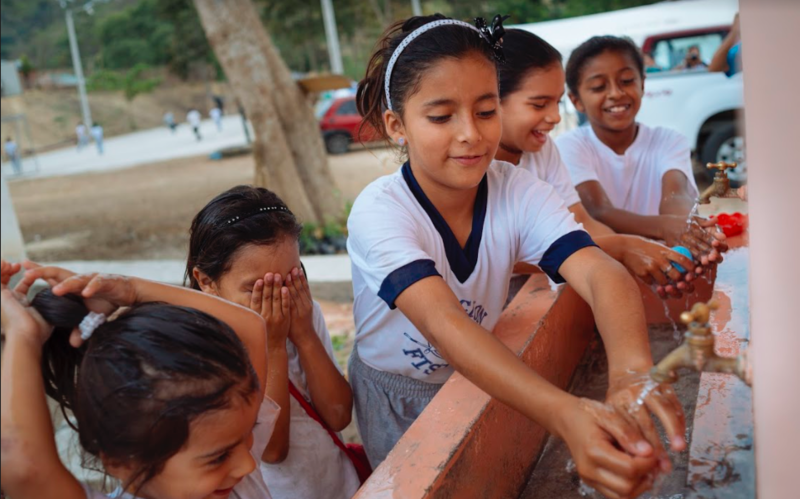 The US is one of the biggest GPE donors, allocating $75 million annually to the organization’s core fund, which supports programs and builds networks around the world. Afghanistan has one of the lowest literacy rates in the world, with only 31% of adults, and 17% of women, over the age of 15 able to read. Since the US invaded the country in 2001, the country has been stuck in a state of warfare, with the US-backed government in a perpetual battle against the Taliban for control of different regions. This turmoil has disrupted the education of millions of children. 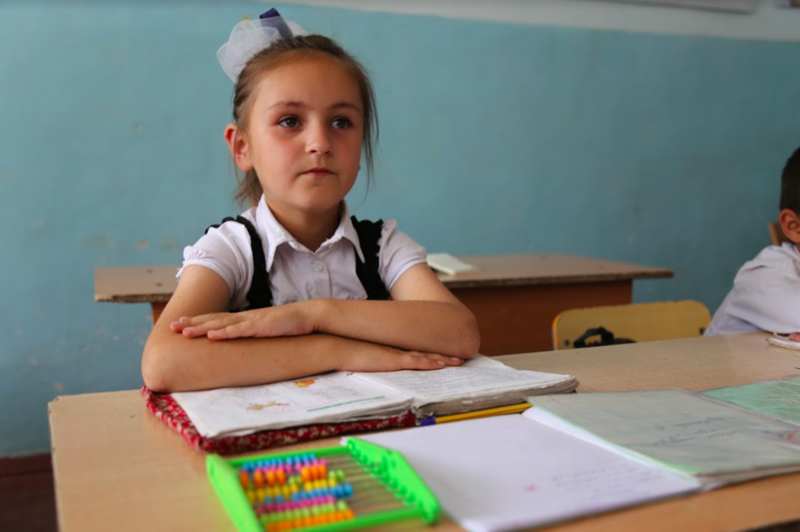 The Central Asia Development Group is one of the largest beneficiaries of US development funding in the country and part of its work is focused on building schools and providing social services to citizens. It works with local partners to ensure sustainable, community-support change. US foreign aid funding for education goes primarily toward early school programs, but there’s also a focus on higher education and improving employment prospects for young people. In 2016, more than 27,000 high-performing students gained access to a top education program because of the the Institute of International Education. 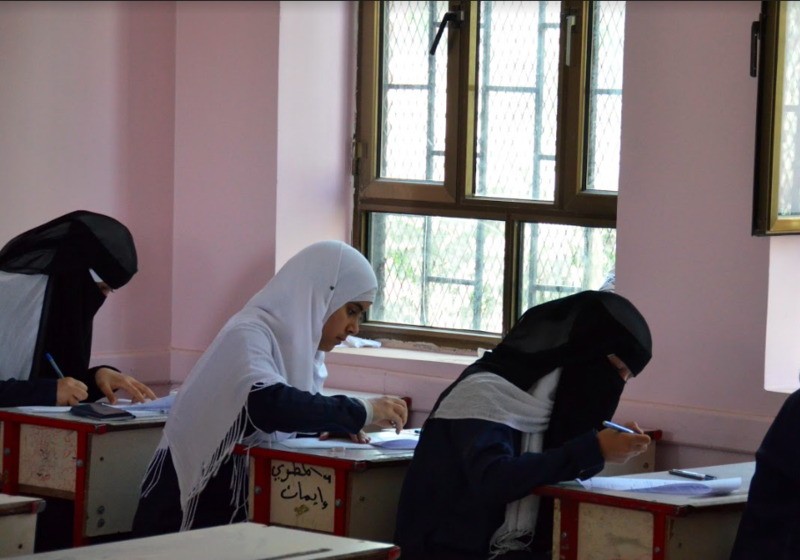 One grant of $622,484 in that same year helped the institute improve opportunities for top students in Egypt, a country whose economy and civil society has been rocked by revolutions and dictatorships over the past several years. While many of the programs that the US funds have broad goals and ambitions, the focus of the Peace Corps is more localized. Volunteers are sent abroad to work on development projects and many people end up working in classrooms, supporting teachers and helping kids learn. The Peace Corps is slated to receive $410 million from the US government in 2017, which will support around 7,000 volunteers in more than 60 countries. While only a fraction of this funding will go toward education programs, Peace Corps educators bolster school systems in some of the poorest countries in the world. 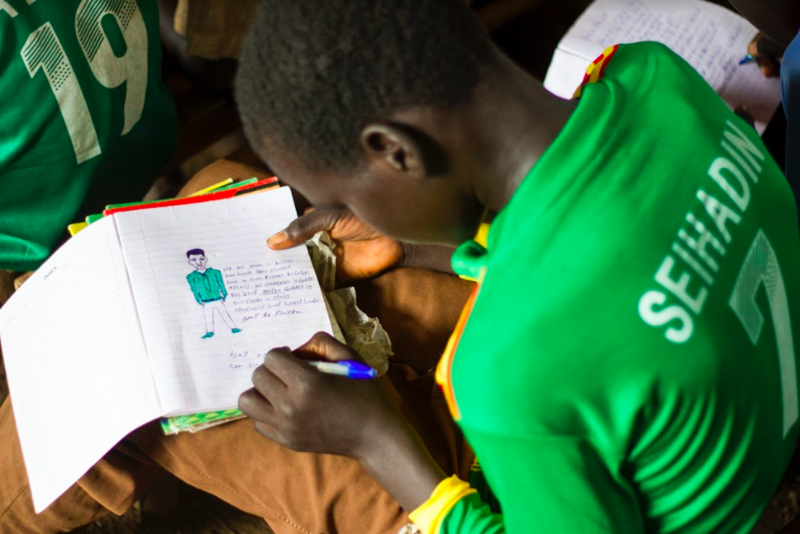 In Benin, for instance, a country in which many teenage girls are trafficked abroad for sexual exploitation, Peace Corps volunteers are helping to close education disparities among boys and girls by building libraries and supporting teachers.